The Dri-Eaz® PHD 200 Commercial Dehumidifier reduces humidity in enclosed environments by removing water vapor from the air. 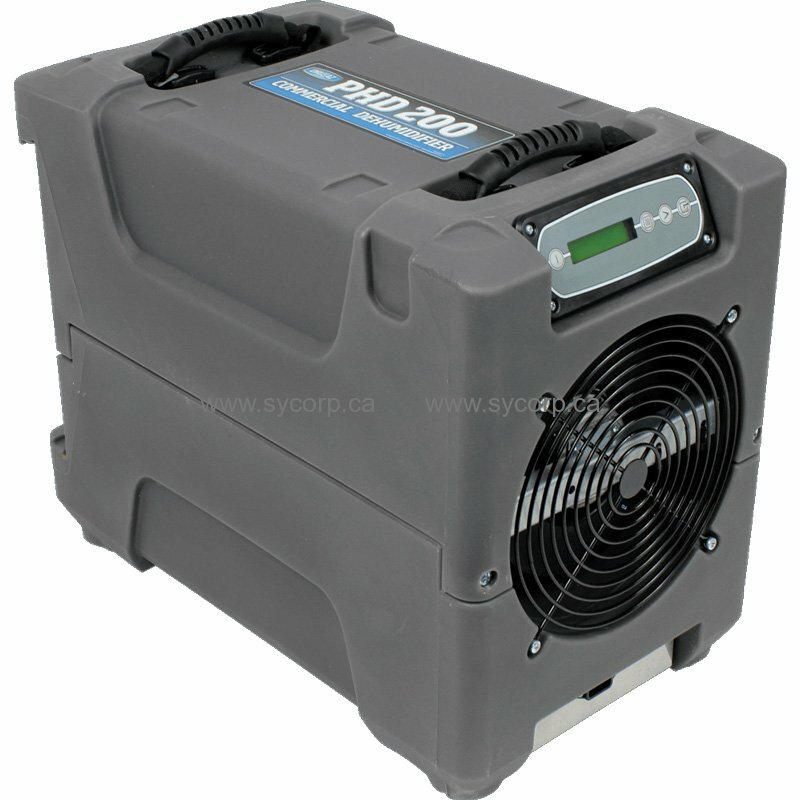 The PHD 200 is ideal for installation in moisture-prone areas for permanent humidity control. The PHD 200 can also be used for crawlspace drying and other applications requiring high-performance dehumidification. Dimensions (W × H × D) 12.5 × 17.6 × 21.5 in.